I had ants in my pants waiting for Roux to open. A combination of New Orleans style food and the owner of Datz?! Sounded too good to be true. Roux opened right before my birthday so the Husband surprised me with a birthday dinner there. I had super high expectations and I really wanted to love it, before I even got there. We arrived and were seated right away. 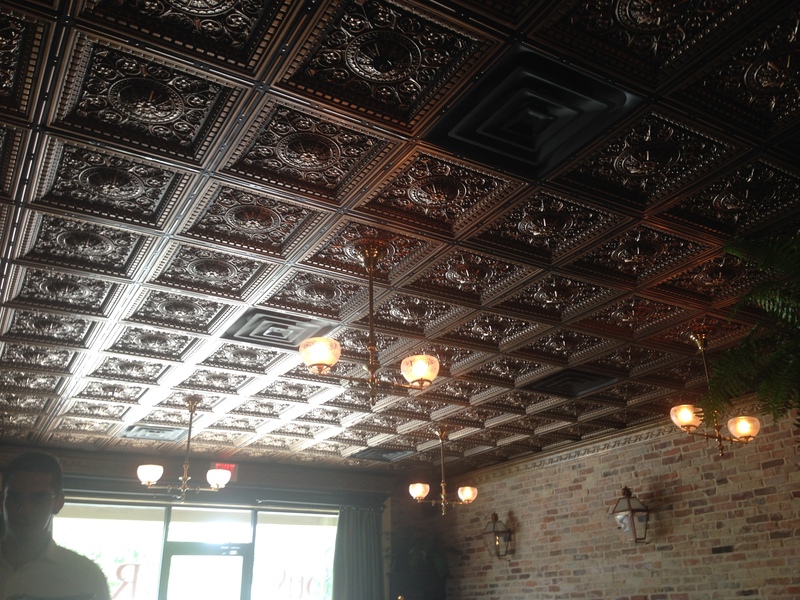 The decor is amazing, from the gorgeous ceiling to the fabulous gas lamps (one of my favorite decor pieces ever). We started with drinks and an appetizer. 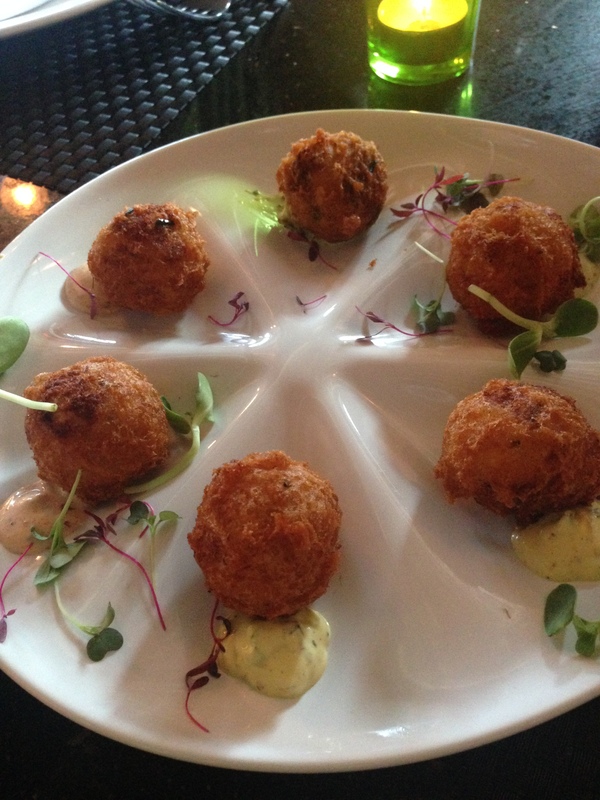 We ordered the crab beignets and they were delicious. Crispy on the outside and warm and fresh on the inside. Not at all like the beignets at Cafe du Monde, but I think that’s the point. 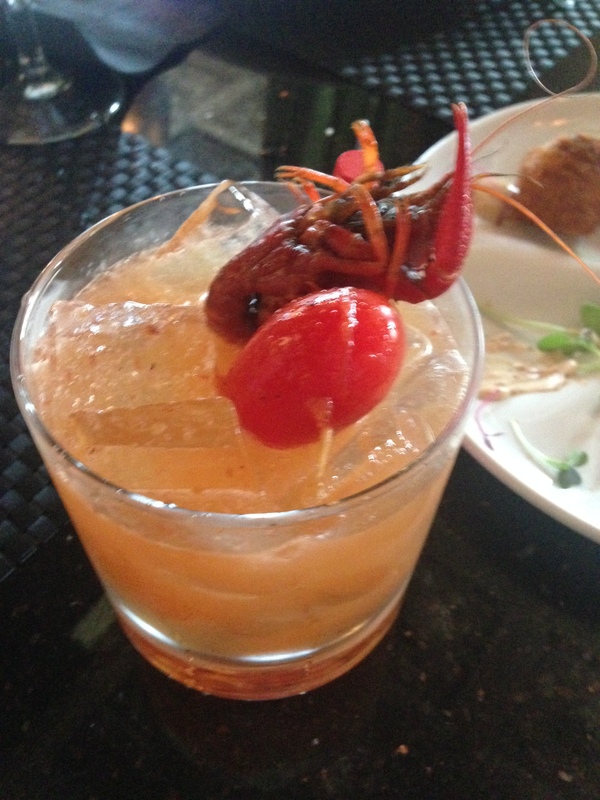 The crawfish blood Mary. Not my kind of drink but still good. Then my meal went downhill from there. I figured since it was my birthday I could order carbs with a side of carbs, so I did. I ordered a po’boy (the first thing I usually get when I visit New Orleans) and a side of mac and cheese, because it’s one of my favorite foods. And I was terribly disappointed with both. I can’t cook and I can tell that it’s clearly overdone. I’m surprised they would even bring this out. It was early in the night yet it was like rubber, as if though it had been sitting under warming lights all night. Unfortunately, the service was really slow and not terribly attentive, which is all too common at new restaurants. By the time the waitress came back everyone we were with were nearly done. The waitress didn’t seem concerned that I didn’t eat my meal and wasn’t interested when I told her why. So we got the check (my uneaten food still on it), paid, and I left hungry. I thought maybe my expectations were unrealistic for a brand new restaurant. Yes, it has the same owners at Datz, but it’s not Datz. I really expected to be blown away by dinner. So when I got an email for a lunch sneak preview I figured it was the perfect chance to give Roux another try. And holy moly am I glad I did. It must have been just bad luck that my meal wasn’t fabulous for dinner. Maybe I should have ordered something different. Either way, Roux made up for it. Lunch was amazing. 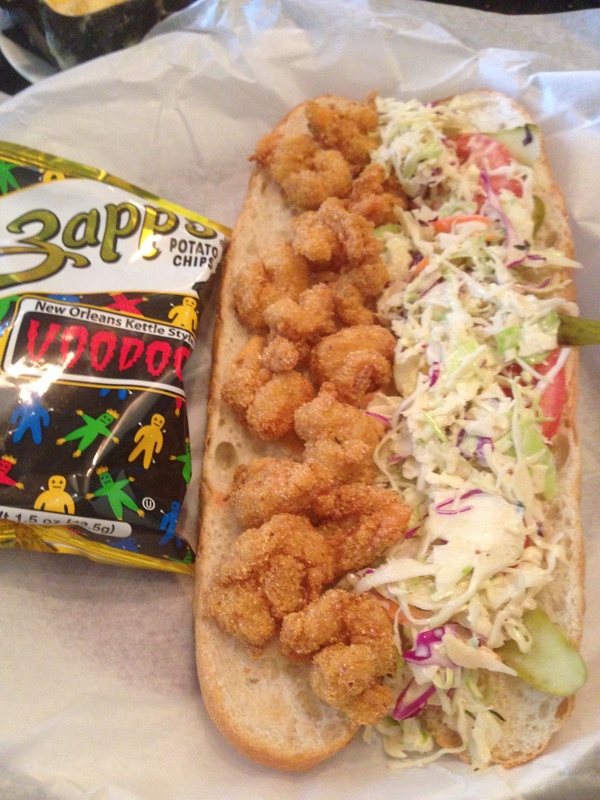 Now that’s a po’boy! 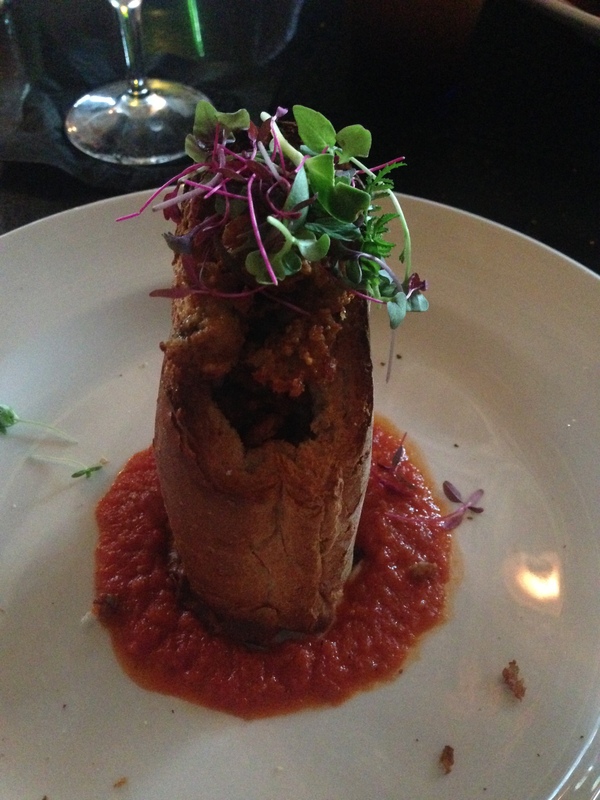 The breading on the shrimp was awesome (although I did order an oyster po’boy, but I like shrimp too). The coleslaw was crisp and fresh and not all mayonnaise-y. 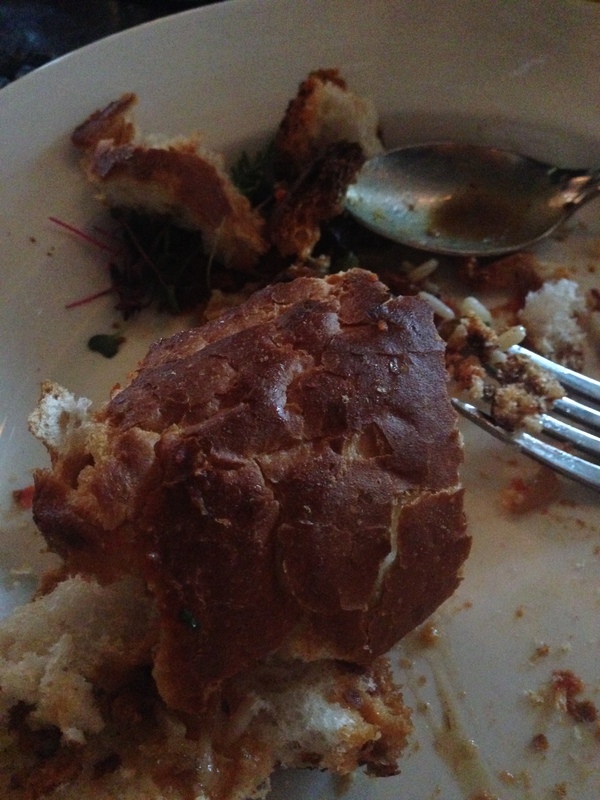 The bread was also fresh, and delicious. Of course I had to give the mac and cheese a try again. 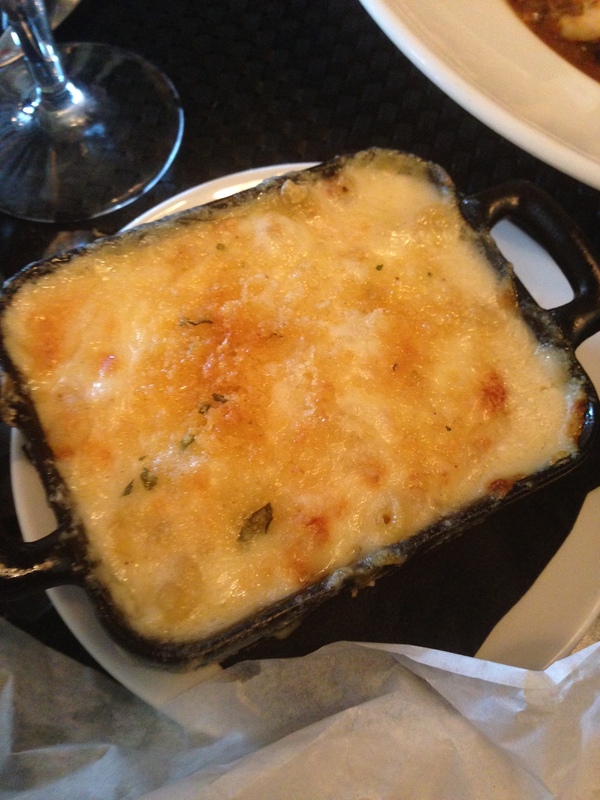 Now that’s what mac and cheese should look like! So creamy and full of flavor. 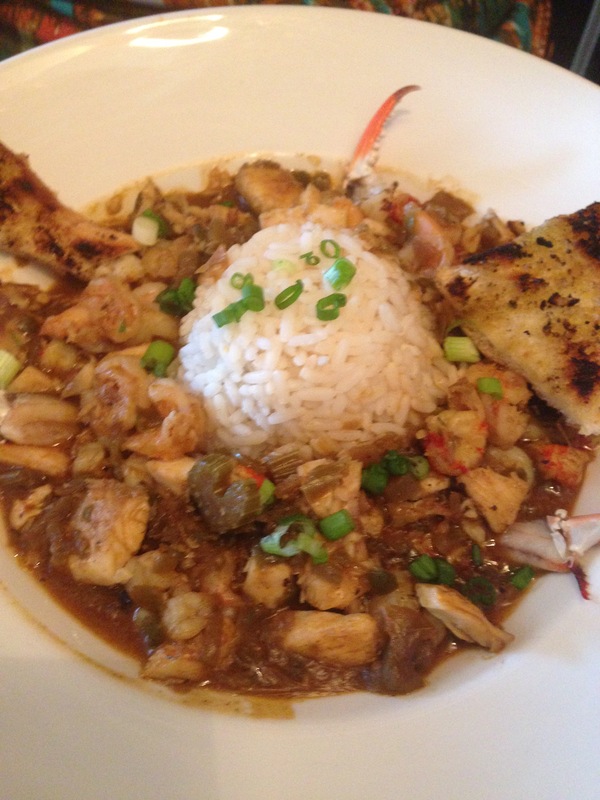 My mother went with me and had the mumbo jumbo seafood gumbo. Amazing. Each bite was like an explosion of New Orleans in my mouth. Of course we decided to try dessert too. 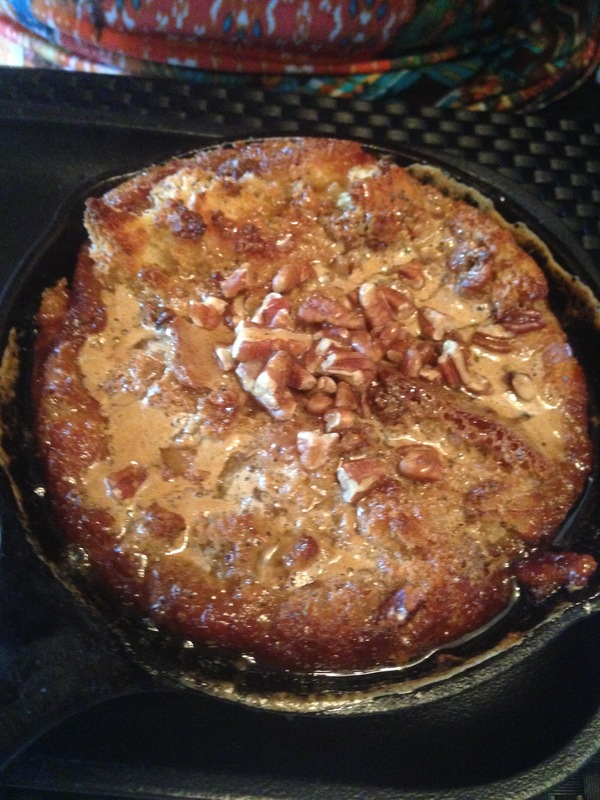 Thus begins the beginning of my love for bread pudding. 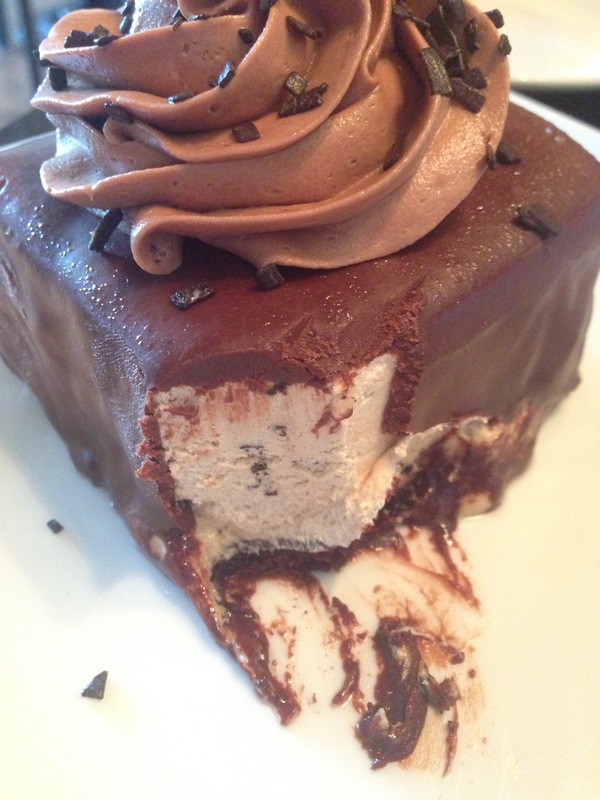 Sweet, warm, creamy and delicious. And sooooo much food. We tried the peanut butter dessert too. Very sweet but very rich. Tasted heavenly but I couldn’t have more than a few bites. Which made the Husband happy, since I brought him home the leftovers. 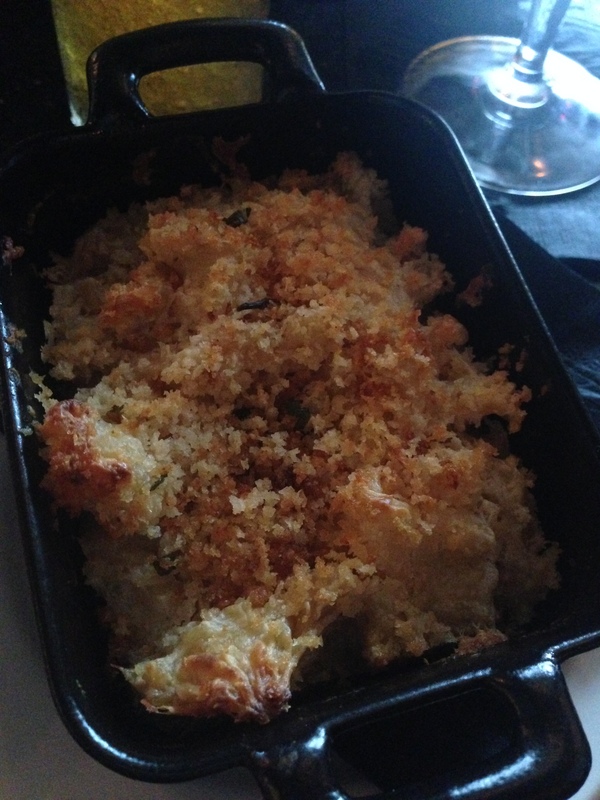 I was so extremely impressed and satisfied with lunch at Roux that I took the Husband. 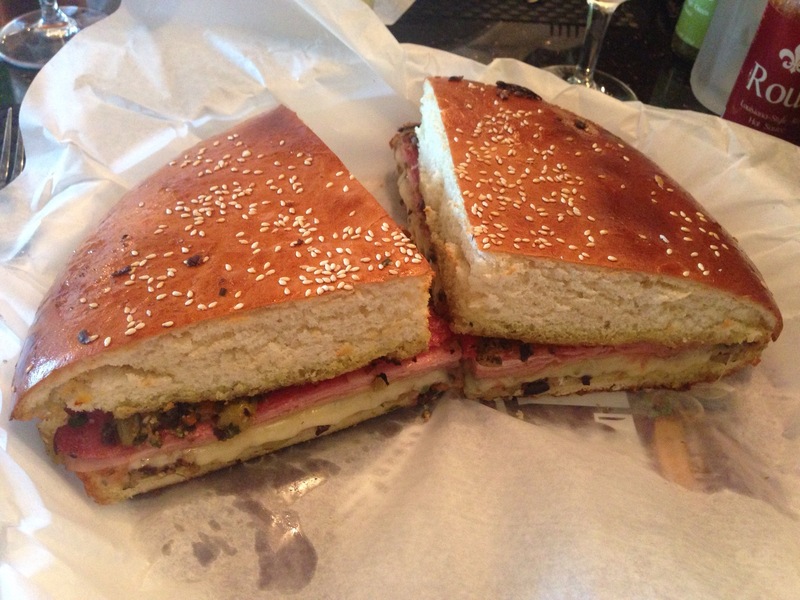 I really wanted to try the muffuletta, but they had ran out the when I was there. So back I went to Roux for the third time in two months. 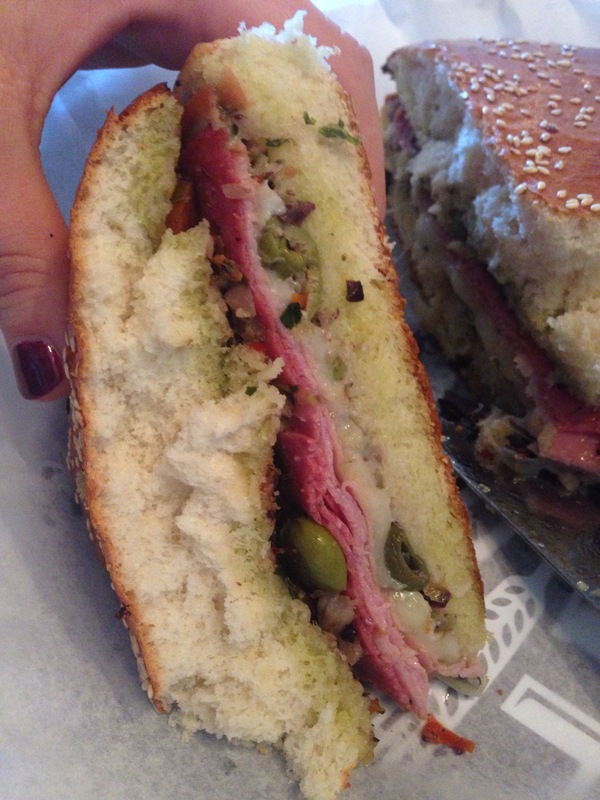 PSA: This is HALF of a muffuletta. Be prepared with a ridiculously large appetite if you order a whole. Look at this deliciousness. Oh, I could put that olive spread on everything. They should bottle it up and sell it. 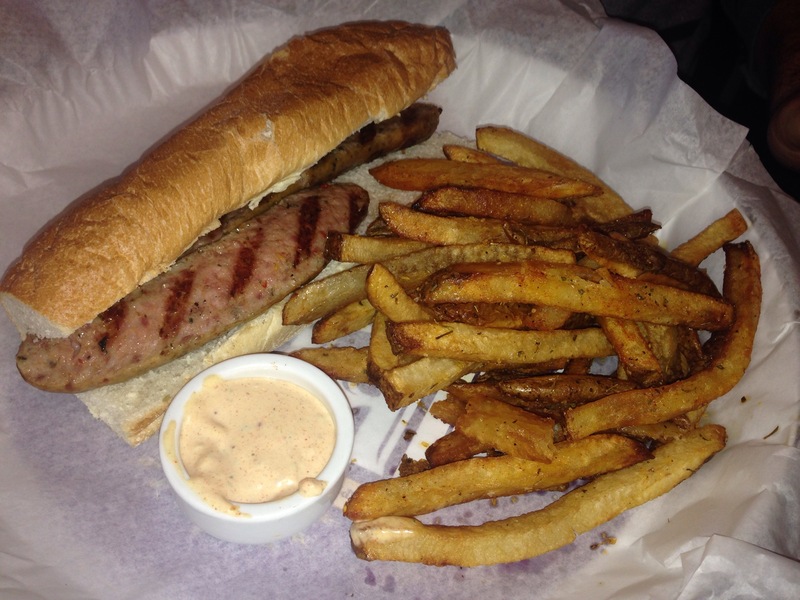 The Husband ordered the alligator sausage po’boy. Yes, the picky-eater Husband likes alligator. So weird, I know. Of course he eats it plain (he doesn’t like condiments unless it’s Frank’s Red Hot or Sweet Baby Ray’s BBQ). But he LOVED it! I’m so glad I didn’t judge Roux after one meal. Not everything can go right all the time and not everything can be controlled. If I had been quick to judge based on one experience I never would have experienced all the awesome food Roux has to offer. It has become one of my go-to restaurants for lunch and possibly the restaurant that I recommend the most. I must confess, I’m a little nervous to return for dinner. I’m still drunk in love with their lunch, and I’m afraid of being let down.